How does Leviticus help us today? Leviticus records the laws of the mosaic covenant. Those laws primarily pertain to the priests’ service in the tabernacle. Leviticus records laws of offering, sacrifice, ritual purity, and various aspects of tabernacle service. Leviticus includes the laws for the annual Day of Atonement, when the high priest offered a sacrifice for the sins of the entire nation. Leviticus is about the presence of God. Since God is holy, his presence requires holiness, and unholiness coming into his presence requires death. For God’s people to dwell in his presence requires obedience, sacrifice, atonement, and priestly mediation. Understanding Leviticus gives us a humbling sense of God’s holiness and the righteousness of his wrath against sin. Leviticus will help us understand how far short we fall of God’s holy standard revealed in his law. We may find some of the laws old fashioned or even silly, but we also have to realize we can’t keep the simplest, or silliest, law in Leviticus. Understanding Leviticus will increase our reverence for God and we will realize God’s laws are not silly or pointless. Finally, understanding Leviticus should increase our love and appreciation for Jesus Christ becoming the only acceptable sacrifice for our sins. What is the book of Numbers about? The events in Numbers are probably not as well known as those in Exodus, but Numbers actually has the forty years of wilderness wandering where the pillar of cloud by day and fire by night leads the nation of Israel. Number is a book about complaining and doubts. Numbers has the record of the manna and quail in the wilderness, as well as the water from the rock. Miriam is stricken with leprosy for complaining against Moses and God. Numbers also has the odd account with the pagan prophet Balaam and the brazen serpent in the wilderness. Numbers tells of the death of the first generation of Israelites who came out of Egypt and various laws of offerings and feasts. Numbers is about the unfailing faithfulness of God to keep his promises to Abraham that he would make his seed a great nation, give them the land he showed Abraham, and that he would bless all nations through him. We will look at the book of Numbers in this lesson. We will consider the contents of the book, along with major themes and practical applications to modern readers. We will focus on what the book reveals about Christ and his kingdom and how it fits into the Bible’s main story. Numbers is the fourth book of the Pentateuch, fourth book of the law, and the fourth book of the Bible. Numbers continues where Leviticus ended with Israel still encamped at Sinai. The book’s name comes from the census of Israel, or the numbering of Israel, which takes place at the beginning of the book and again near the end. Numbers covers the 40 years form the exodus to the encampment on the banks of the Jordan river in preparation to enter the land. The book returns to the more narrative structure, moving from place to place and even to event. Numbers has a strong message of God’s faithfulness throughout the book. God’s faithfulness is set against the failure of faith, failure of trust, failure to obey, and open rebellion of the people. 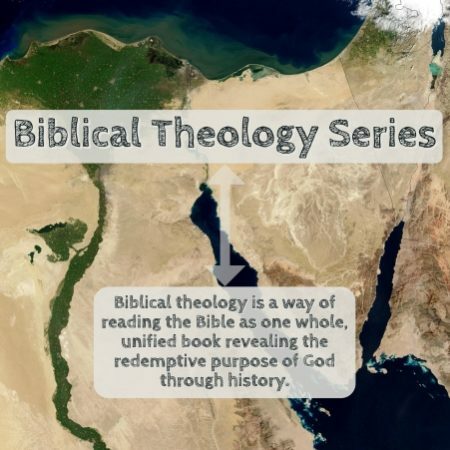 Books outside of Numbers refer to Israel’s time in the wilderness as times when Israel provoked God to anger (Deuteronomy 1:34-35; Psalm 95:8-11; Hebrews 3:8-19; Jude 1:5). At times the people want a new leader to take them back to Egypt. Korah leads a rebellion to take over the priesthood. Miriam and Aaron speak against Moses. Even Moses and Aaron disobey in striking the rock. Though judgments come against these disobediences in various ways, God does not forsake his promise, or covenant, with Abraham, Isaac, and Jacob. Despite the faithlessness of the people, God gives Israel some victories in battle, particularly over the kings Arad, Sihon, and Og in chapter 21. Israel’s defeat of Og (Numbers 21:31-35) is afterward referred to as a testimony to God’s power and commitment to his word to give the promised land to the seed of Abraham. Moses rehearsed it to the second generation in preparation to take the land (Deuteronomy 3:1-11; 29:7-13; 31:1-4). Rahab and the Gibeonites refer to is as evidence of the power of Israel’s God (Joshua 2:10-11; 9:10). It is specifically mentioned in Israel’s confession (Nehemiah 9:21-22). It is also referenced in terms of God’s sovereign election of Israel (Psalm 135:10-12; 136:16-22). Immediately after the victory over Arad, God led Israel around Edom by the Red Sea and they were discouraged by the difficulty of the way and spoke against Moses and God. God responded to this by sending venomous snakes among them. The snakes began biting the people and killing them. Moses interceded for the people and God told him to make a serpent of brass on a pole and everyone who was bitten and looked on the serpent would live. Jesus referred to this event during his ministry and how his own death on the cross would be a lifting up from the earth, like the serpent on the pole, and would mean salvation to all who look unto him (John 3:14-15). The pagan prophet Balaam is an intriguing character in Numbers. King Balak and the Moabites are afraid of Israel after they defeated King Sihon and the Amorites. Balak hires the prophet to curse Israel for them so they can defeat them. Balaam cannot do what Balak wants, but in the process does receive some interesting visions pertaining to the future of Israel. Balaam foresees a great future king and kingdom for Israel (Numbers 24:7). This king will destroy his enemies before him (Numbers 24:8). Balaam speaks of him in leonine terms (Numbers 24:9), which echos the prophecy of Jacob concerning Judah and the king to come from Judah in the future (Genesis 49:8-12). Balaam reinforces the future time frame for this coming king and kingdom (Numbers 24:14, 17) and also notes he will come out of Jacob (Numbers 24:19). He will have complete victory over all enemies, such as Moab and Edom. Israel experienced lesser victories but never complete and final victories over these enemy nations. Not even David fulfilled these prophecies, but the David to come will fulfill these prophecies fully in complete triumph over all enemies. What does Numbers communicate to readers today? Christians are generally familiar with some of the events recorded in Numbers, though they may not realize where those accounts are found. Numbers has at least five beneficial applications for modern readers. We should consider in Numbers how God provided for Israel. He fed them in the wilderness, kept their clothes and shoes from wearing out, gave them water to drink, and led them with fire and a cloud. The complaining of Israel is all the more strident because of the persistent provision God gave them. This book should provoke us to consider the abundant blessings we have received and move us to thanksgiving and loving obedience. Numbers features murmuring and complaining. It’s hard to miss. Most of us should be able to recognize the problem of murmuring among the Israelites. We don’t readily recognize it in ourselves. This book should give us pause to check our own hearts. Gentile Christians are not Israel. That doesn’t mean we have no interest in the coming kingdom or blessings of Abraham. The good news of the new covenant for Gentiles is being grafted in and entering into the blessings of Abraham through faith in Jesus Christ apart from all works of the law. So, God’s faithfulness to his promises is also for us that our trust and hope might be in God. Paul used Numbers to warn the Corinthian church to not do as the Israelites did (1 Corinthians 10:1-22). Don’t rebel and be disobedient. Don’t be complaining and discontented. Don’t seek some other way or time. Trust God and keep his word. The writer of Hebrews refers to the events in Numbers, and particularly the provocation event in Numbers 14. The writer of Hebrews follows the lead of the Psalms and compares hearing/reading God’s word to Israel hearing God’s voice (Hebrews 3:7-19). So, we are hearing God’s voice every time we read or hear his word proclaimed. We are likewise responsible to obey. The book of Numbers contrasts the failures of Israel with the unfailing faithfulness of God. Though he destroyed a whole generation of Israelites in the wilderness, he preserved a remnant and kept his word.